Today we’re going to a little something different. Normally we will show you a complete range of products but this time we are going to show you one product but, and the best part is, you will get to see the different sizes this candle comes in from tins, jars etc. Now, we all know how much everyone loves Sarah J Maas’ A Court of Thorns and Roses series so we thought we’d show you a new product to our store featuring one of our favourite characters. Now this character has always been a good one but it’s only in A Court of War & Ruins did he because an absolute favourite or for me anyway. So everyone, please welcome Bookworm Candles and Crafts latest character candle reveal – LUCIEN! 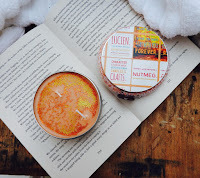 Lucien smells like Russett, Autumn Rose and Nutmeg and has a fresh autumnal feel with a sunny warm side. Sounds lovely right? And these are the candles sizes available. This 2oz starter candle is perfect for people who want to test a scented candle before buying a larger candle and priced at just £3 per candle it’s the perfect price too. As this is starter candle it comes with a cute handmade crochet band and lid artwork and, will roughly burn for around 15 hours. This 4oz candle tin is one of our most popular tins. This tin is perfect if you want a bigger size at an affordable price or even as a gift for a family friend/relative. It’s the only candle tins that has a double wick and also comes with a bigger styled handmade crochet band and lid artwork. It will burn for around 25 hours. This 8oz tin is a little different from your 2oz and 4oz tins. Slightly bigger in size as well as having a different design on the lid as well as having a wrap-around label. It will also have a wooden wick and have a small handmade crochet band too and lid artwork. This is the largest candle tin and will burn for around 35 hours. These signature candle jars are perfect for you candle lovers who prefer jar candles over tins – especially if you want them sitting nicely on your bookshelves. The wax in these jars all come in a white creamy wax and are only used for the character candles. 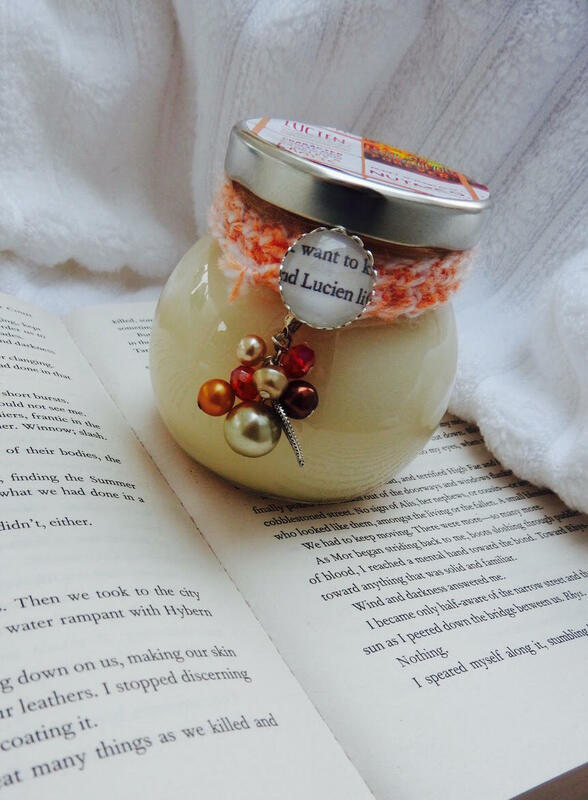 This beautifully shaped jar comes with a book page glass button as well as a character related charm and lid artwork. This candle will burn for around 30 hours. If you’re looking for a large candle jar then you’ve found the right one. This 10.5oz candle jar is the largest in the store and will burn for a massive 50 hours. It also comes with a full wrap design label as well as lid artwork along with a small version charm to match the signature candle jar. So as you can see Bookworm Candles and Craft offer so many different varieties of candle jars and tins that any customer will be completely happy with their choices. Don’t forget that we’ve used Lucien’s character today only as a guide. 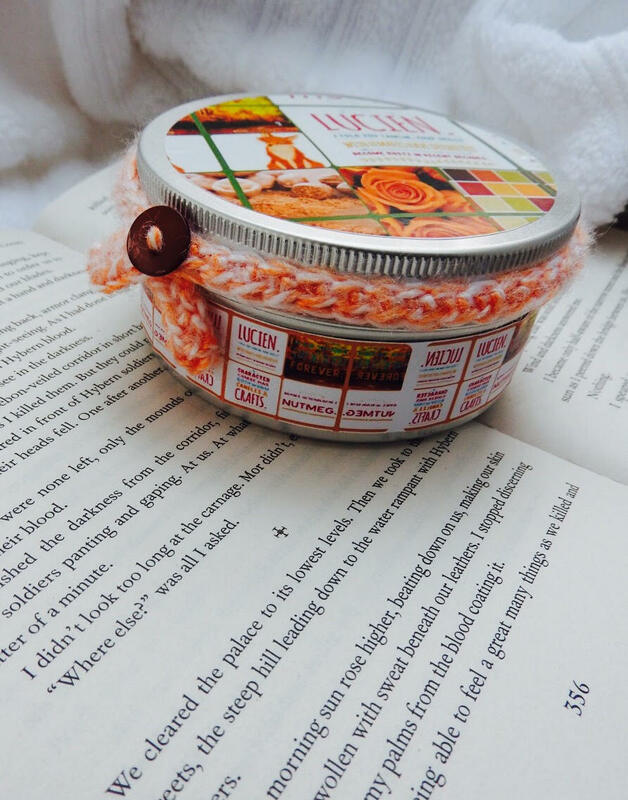 Bookworm Candles and Crafts have many more different characters available to purchase from characters from The Hunger Games, Six of Crows, Shadowhunters, The Grisha Series, Throne of Glass, A Court of Thorns and Roses to name a few. So why not check out their store to see if they have your favourite character – and if they don’t then feel free to ask them. They are more than happy to do customer orders. 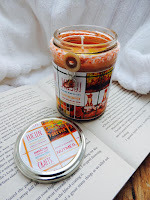 Bookworm Candles and Crafts are offering ONE lucky winner a £15 gift card to spend on whatever you like in their store. So whether that be a selection of mini starter tins or a large jar – the choice is completely yours. As mentioned if the gift card given will be for £15 only, please bear in mind that if you win and your order comes to more than £15, you will of course have to cover the remainder of the payment. And don’t forget to use BOOKPFORLIFE10 to save on all your purchases on bookwormcandlesandcrafts.bigcartel.com. The Review: I hate to say this but is it me or is this series starting to feel a bit repetitive? Gaah! I adore this series and the authors work but with the release of the last few books I’m starting to find more and more faults with them and I honestly don’t want to. 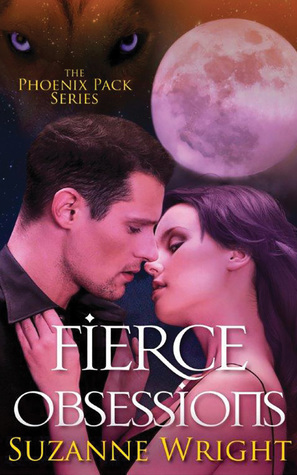 I want to love them all but for me Fierce Obsessions was my least favourite book from the series. This story started WAY too quickly. There was no suspense, no build up, it was just WHAM and the story had already started before I even knew it. I guess I felt a little cheated. Tao has been always been a favourite character of mine so I was majorly excited when he was getting his own story but something about his and Riley’s story just didn’t click. I’m not sure if the author gave us any hints that the story would involve Tao or Riley (maybe I forgot if she did, I don’t know) but I was a little surprised that Riley was Tao’s love interest. And that’s not because she’s a raven shifter which was pretty cool to read about but, because I never felt any hint or spark between the two characters during previous books. It’s like the story starts and Tao is already so in love with Riley that he’ll do anything for her – it was all just so quick. I also wasn’t a fan that most (I say most, I mean half) of the book taking placed away from the Phoenix territory. Tao and Riley leave pretty early on to go visit her Raven pack and I wouldn’t have minded but it was so early on that I wasn’t invested in Riley that much as a character to care what happened before she became a lone Raven. I wanted to get to know Riley more before having to get to know all the people from her life before and also I wanted more time to explore Tao and Riley’s relationship before being whisked away from my favourite pack, so yes, I felt it took me away from the story a little. And Greta – I used to find her funny now she just grates on my nerves. Please do something about her! The rest of the story was pretty enjoyable to read and I loved being back with my favourite characters. I understand with a series this big that I won’t enjoy every book but I feel like the last few have been a little rushed and I’m hoping the author will slow down a little. I will continue to support the author and this series because I do love them, it’s just a shame I couldn’t enjoy this one more. 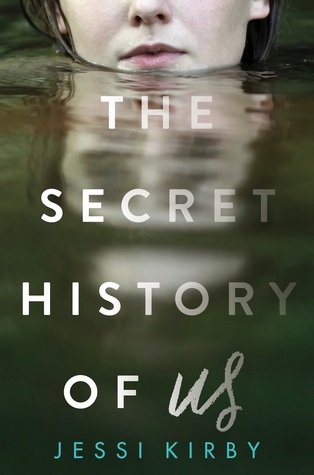 The Review: I’m ashamed to admit that I didn’t know that Jessi Kirby had a new book coming out until the lovely people at Harper360 emailed me and so of course I jumped at the chance to read The Secret History of Us. The Secret History of Us is a moving story about a young girl recovering after being in a car accident and dealing with the aftermath of losing her memories from the last four years and finding out who she really is. I’ve read several stories before with characters that suffer from memory loss and while the story isn’t something new to me, I find I enjoy stories like this because I like to see how the author delivers the story they wish to tell. In this case, I found The Secret History of Us very enjoyable. I loved how the author handles the struggles the character faces and it was definitely eye opening to read about a character that loses so many years of her memories and to see how she deals with it. The fact that she has to basically rediscover who she is felt very realistic. She was around family that would tell her what she did before and I understand the reasons why Olivia tried to be that person again but I liked it even more when she went with her own gut feelings and did the things people wouldn’t expect her to do. I really liked all the characters, Olivia of course being my favourite. I did like all the secondary characters as well especially Walker however I do wish he had some more time in the spotlight. He’s introduced early on in the story but we don’t really start to get to know him until closer to the end. I guess I would have liked more. In all, The Secret History of Us is a great contemporary read that tackles real life issues and gives you a taste of what it could be like for you if you were in Olivia’s situation. It’s also the perfect read for summer so if you haven’t added it to your TBR then I’d highly recommend it. Thank you to Harper360 for giving me the opportunity to review this book in exchange for an honest review. As if it’s June already?! The last few months we have shown you many products by Bookworm Candles and Craft and today we are going to be showing you another new range to their store. 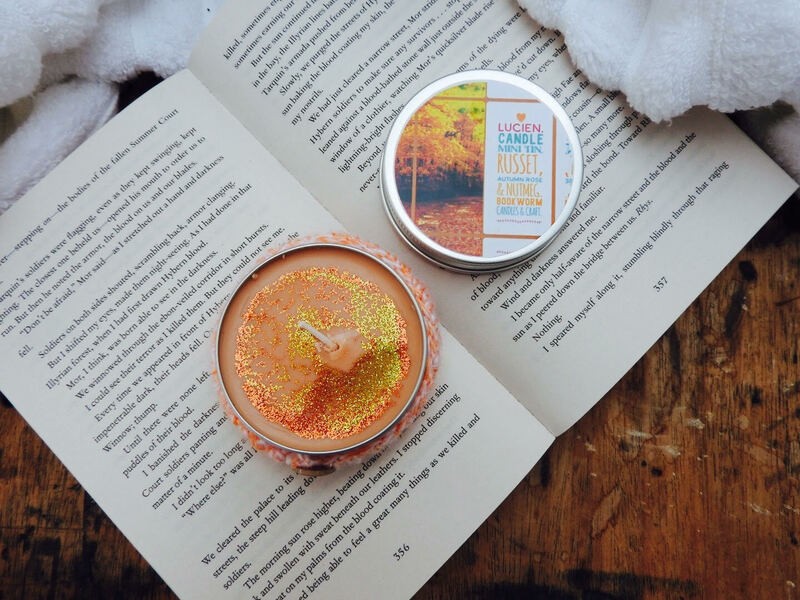 Some of you maybe already have purchased some or you’ve seen them on some of the social media sites but today we’re going to be telling you about Bookworm Candles and Crafts Fairytales and Fables candle range. I know how many of you love Fairytales and so do I, so I think it’s amazing that we have a new range dedicated to some of our most loved classic stories. This candle is inspired by the little mermaid we all love. Smelling like Mermaid Kisses, Water Mint and Hope. This candle has a gorgeous aquatic floral scents along with notes of cyclamen patels, geranium and cedar wood. It’s a lovely aqua colour and comes with auqa stranded glitter, a double wick, crochet band and comes with a cute mermaid charm. Inspired by our favourite thief, Aladdin. Smelling like Cinnamon Bark, Amber and Wishes. This candle has lovely spicy warm scents with notes of cloves, citrus and pine. It’s a lovely gold coloured candle with gold glitter, a double wick, crochet band and comes with a cute genie lamp charm. 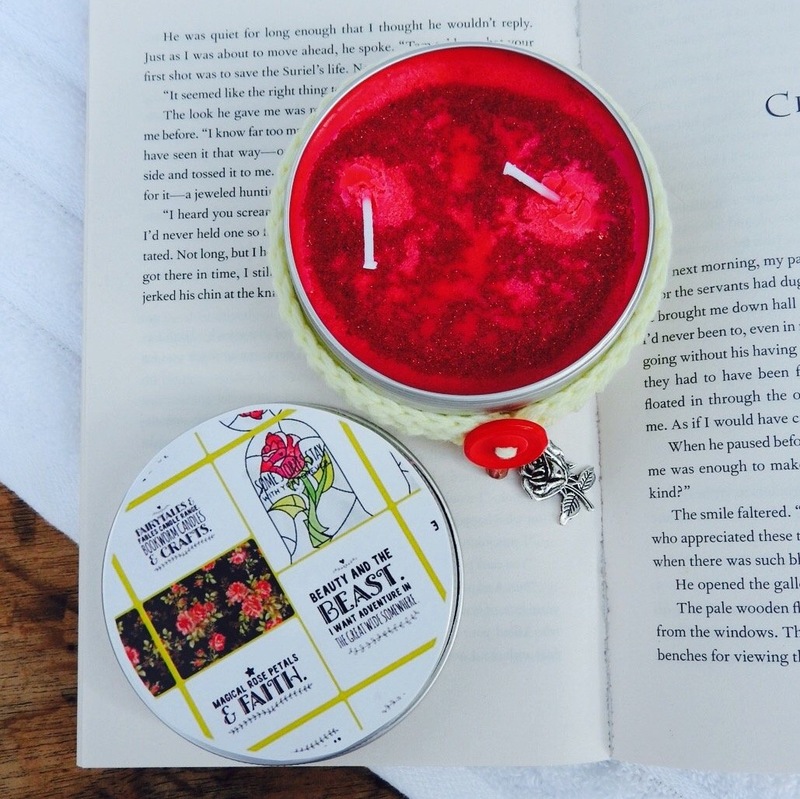 This candle is inspired by our favourite beauty and beast. Smelling like Magical Rose Petals and Faith. This candle has a gorgeous floral scents with notes of wild rose, rose otto and may rose. It’s a lovely red coloured candle with a double wick, red glitter, crochet band and comes with a little rose charm. Inspired by the lovely Snow Queen and smelling like Delicate Snowflakes and Sparkling Ice. This Snow Queen candle has a fresh wintery scent with notes of nutmeg, elderberries and a hint of mint. It comes in a shade of light blue with sprinkles of winter glitter that represents the Snow Queen herself. It also has a double wick, crochet band and a snow charm too. This candle is inspired by the long haired Rapunzel and smelling like Golden Strands, Apple Blossom and Longing. This beautiful candle has a fruity floral scent with notes of peach, apple blossom and lily. Coming in a gorgeous shade of purple with yellow glitter, this candle also comes with a double wick, crochet band and comes with a cute heart charm. Happily Ever After smells like Fairytales, Once Upon a Time and Love. This candle has a fruity floral scent with notes of mandarin, strawberries and rose petals. Its comes in a lovely gold colour, it also has a double wick, crochet band and a crown charm. 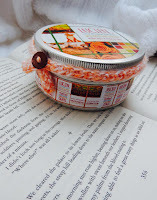 Take a look Bookworm Candles website. All these fab candles come in two different sizes and range between £3 and £8.